After spending the weekend in The Division 2 Private Beta, I can quite comfortably say I prefer it to the original in just about every conceivable way. To be honest, if we’re going one further, I think it’s a big step up from Bioware’s Anthem which also had a beta of its own a few weeks back. 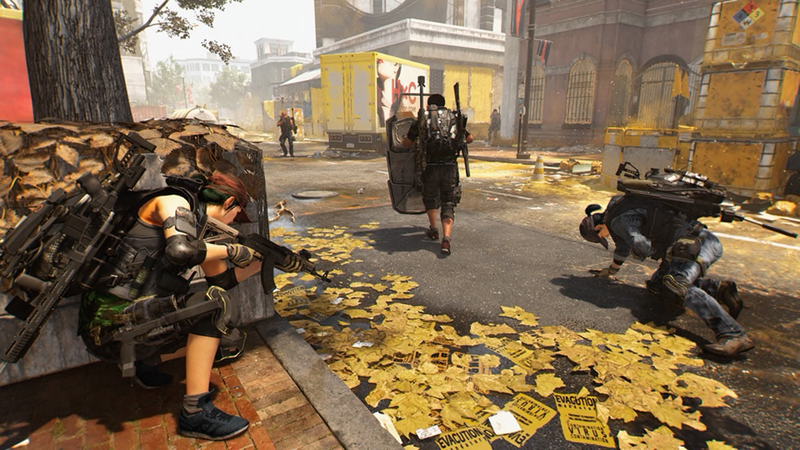 The Division 2 just feels fluid, fast-paced, and more importantly, fun. Unlike the loading screens and first-person hub world of Anthem, everything just blends together here, meaning the only time there’s a pause is on your terms. True, there’s no jetpacks, but there honestly doesn’t need to be. For me, the big difference is the cover system. Not since Gears of War have I felt so comfortable switching stances and wanting to get myself in the right positions to take down an approaching threat. The game’s guiding lines put you on the right path and it’s all handled by the tap of a button. Perhaps the big change is how you weave between cover, though, and ultimately get yourself out of it. You can leapfrog out of it with ease and even while running, flip over it no problem. It’s seamless. In fact, there’s more opportunities for cover all around you. Everything from a toppled over vending machine, to a cracked pillar can be the difference between life and death in clutch situations when you’re desperately outnumbered. But The Division 2 has even thought about crowd control, so you’ll often have to deal with charging bersekers with stun batons, forcing you to move or get dropped. The gunplay is also tremendously well done, with the ability to equip and change guns in your inventory easily managed. And most Importantly, it actually feels like an upgrade if you’ve equipped a gun with a higher damage output. So many games fail to get this right but that’s definitely not the case here. 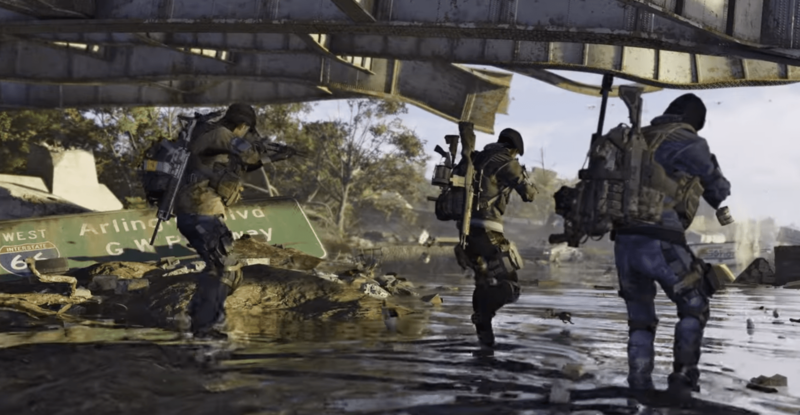 The interesting thing about The Division 2 as well is that, while you can probably beat most missions solo – the game seems generous in giving you the tools needed to be self-sufficient – teamwork absolutely is the driving force. The game is a challenge no matter how you play, but especially with team mates as you will need to co-operate and communicate to get through each mission. If someone runs off on their own and starts getting trigger-happy without waiting for backup, they’re probably going to wipe the team by going down in the line of fire, begging for someone to revive them. In that sense, you probably would have been better off alone, but then when the numbers really emerge, one person is much easier to pin down than three. What’s really cool is how easily you can call for backup. People can find and join someone looking for a game, jumping right to you, no matter how far through a mission you are. Admittedly, it’s only worked one time for me and I had to wait a considerable amount of time for someone to join – the usual teething problems of a beta – but the foundations of a well-implemented, seamless system are definitely in place. It’s almost certainly going to get tougher towards end-game, as well. The Private Beta really just gives you a taste of some of the early main missions, along with some side quests, and a Dark Zone, but I now feel comfortable in the knowledge of what The Division 2 is going to offer. Even if it’s not a radical departure from the original. Because, honestly, this is much the same game as the first. The way you open doors, how missions are presented to you, entering safe zones and upgrading your stats. The structure hasn’t really changed all that much, it’s just been polished and refined and expanded upon to offer a more well-rounded game. I’m excited and hopeful, the Beta has surprised me in a lot of ways. While I enjoyed the original Division and had some good times with it, I burned out quickly and moved onto other things. With Ubisoft’s bigger commitment to post-launch content this time around and a much better-designed game overall, I feel like The Division 2 is a game I’m not only going to enjoy, but one I’m going to keep coming back to.